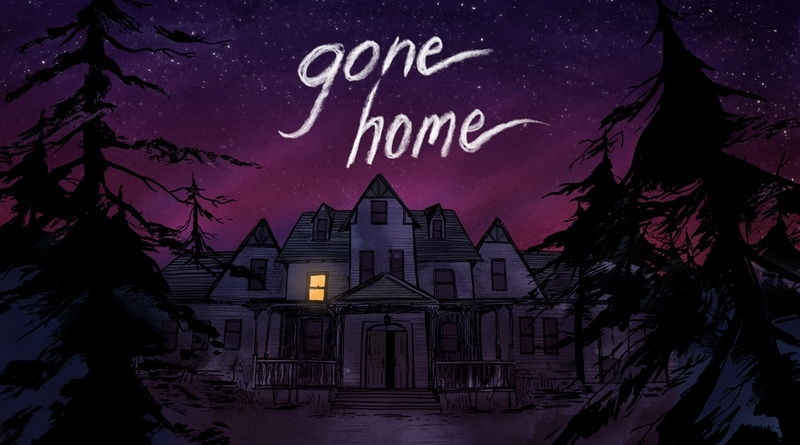 For several years I’ve heard about Gone Home and the fanfare surrounding it. I really enjoy adventure titles and once this was announced on the Switch it went to the very top of my must-play-list. Despite coming out in 2013 for other platforms I was able to avoid all spoilers and knew almost nothing about the game. After completing this yesterday, I can safely say I’ve never played anything like it and it was well worth the wait. Gone Home takes place in 1995, and you play as Katie, who is returning to her family’s new home in Oregon after studying abroad for the last year. You arrive late at night during a heavy thunderstorm, which sets the mood perfectly. The lights are all off and the house appears to be empty. You find a note from your younger sister, Sam, telling you not to investigate what happened. Naturally you do exactly the opposite and enter the house to discover what is going on and where your family is. Nearly every object in the house is interactive. You can turn on the lights, open any drawer, cabinet, or door. You pick up and examine nearly every item, even the most mundane things like a half eaten bag of chips or shampoo bottles. Unlike many other adventure titles, you don’t accumulate an inventory. You simply examine letters, notes, and other items and put them back. As you continue to go through the enormous house, you’ll quickly find out that most things you look at have no bearing on the story and have no use at all. Reading letters around the house, you’ll begin to learn quite a bit about your mother and father and what they’ve been up to. It turns out your dad is a writer with limited success and your mom works for the forestry division. You also unearth some details about the home’s previous owner, a relative of your father’s as a matter of fact. The home has a dark reputation and is known as the “psycho house” at Sam’s high school, which quickly left an unsettling feeling in my gut. What happened to everyone and where is Sam? Reading notes and viewing certain items will trigger an audio log, which chronicles Sam’s life at her new school and her blossoming friendship and eventual romance with fellow classmate Lonnie. What makes Gone Home so unique is that it is hardly a game at all. There are hundreds of things to look at in the house and many rooms to explore. Some objects are required to look at to further the story, but there are no puzzles at all and certainly no combat. Some slight gameplay includes finding keys to locked doors – none of the keys are really hidden, and a handful 4-digit combination locks. The numbers can easily be located on scraps of papers. You simply walk around playing an interactive story, but Sam’s narrative is wonderfully told and I couldn’t wait to find out what happened next. The voice actress, Sarah Grayson is phenomenal and the writing is brilliant. Seeing as how I grew up in the 1990s, I could relate to many of the items I came across. Form concert posters, to books and magazines, ticket stubs, and even actual Super Nintendo games (too bad we can’t play them), everything feels like it belongs in the ‘90s. The game is played in first person mode through the eyes of Katie. You won’t find out too much about her, as this is really Sam’s story. I loved the atmosphere and graphic style of this game. The realism made it feel like I was actually prowling through a real house. Gone Home‘s soundtrack is one of my favorites of the decade and I have already pre-ordered the vinyl edition. The slow and melancholy instrumentals fit the setting and theme of the game. The voice acting is perfect, and as a bonus you’ll find cassette tapes which you can listen to in game – most are demo tapes of Lonnie’s band, part of the riot grrrl sound that was such a landmark part of the 1990s rock scene. I absolutely loved this game. My one and only complaint is the experience is over way too soon, as the game can be completed in just 2 or 3 hours. At $14.99 you’re getting a fantastic story and whole different gaming experience. However if you’re looking for a classic adventure title – full of puzzles and more settings, this one might not be up your alley. With the sheer amount of fantastic games on the Switch alone, it’s hard for me to find time to fully complete a game. With Gone Home it was really nice to just get lost in 1995 Oregon for a few hours and enjoy the story and get lost in the entire experience. Gone Home was reviewed using a final retail Nintendo Switch download code provided by the publisher.